Preview clip for the DC's Legends of Tomorrow episode "Amazing Grace"
A new episode of DC’s Legends of Tomorrow airs tonight (March 12) on The CW as it is up to the team to save music. As the episode is almost here we have a clip to share courtesy of the network! The episode is called “Amazing Grace” and you can find the clip below! 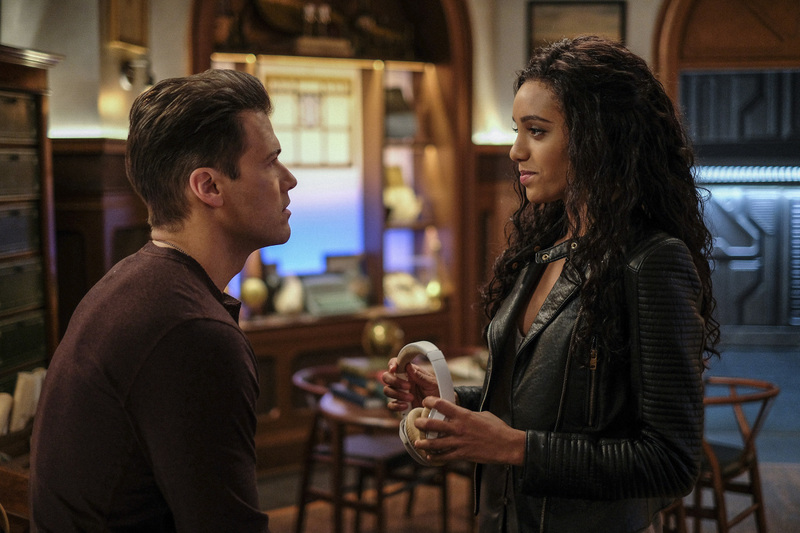 DC's Legends of Tomorrow -- "Amazing Grace" -- Image Number: LGN314a_0051b.jpg -- Pictured (L-R): Nick Zano as Nate Heywood/Steel and Maisie Richardson- Sellers as Amaya Jiwe/Vixe -- Photo: Robert Falconer/The CW -- ÃÂ© 2018 The CW Network, LLC. All Rights Reserved. IT’S ALL ABOUT THE MUSIC — When the Legends learn that a mysterious tragedy destroyed Memphis in 1954, thus eradicating the birthplace of rock and roll, they embark on their most important mission – to save music. Nate (Nick Zano) is excited to show Amaya why music is important to him and he is surprised it leads to a rock legend as well as the sixth and final totem, the Death Totem. Meanwhile, Zari (Tala Ashe) helps their newest member try to adjust to the team. Caity Lotz, Brandon Routh, Dominic Purcell, Maise Richardson-Sellers and Keiynan Lonsdale also star. David Geddes directed the episode written by Matthew Maala & Tyrone B. Carter (#314). Original airdate 3/12/2018.